An eclectic collection of 10 original songs. Somewhere around the intersection of jazz, pop, and country. An amazingly fresh sound! Something for everyone to enjoy. 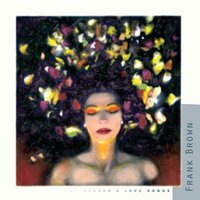 "Last Season's Love Songs" is Frank Brown's latest collection of original songs featuring an all star cast of Tulsa musicians. Frank Brown - guitars, vocals; Max Wisley - harmony and background vocals; Ron McRorey - drums, percussion; Rod Ellicott - bass; Stephen Tracy - organ; Mike Leland - electric piano; Mike Moore - trumpet; Jay Garrett - vibes; Olivia Duhon - vocals on "We Had It All" and "Forever and a Day"; Bill Crosby - bass on tracks 1,3,9; Wade Robertson - drums on tracks 5, 8; Mike Cameron - sax on track 1; Todd Harkreader - dobro on track 10; Randy McSpadden - acoustic guitar solo on track 10. Vocals on "Get Well Soon" - Olivia Duhon, Max Wisley, Cait Brown, Terry Cooper, Karl Fichtenberg, and Frank Brown. Brian Thompson's unique and beautiful artwork rounds out this fantastic release. Check out this modern day classic!